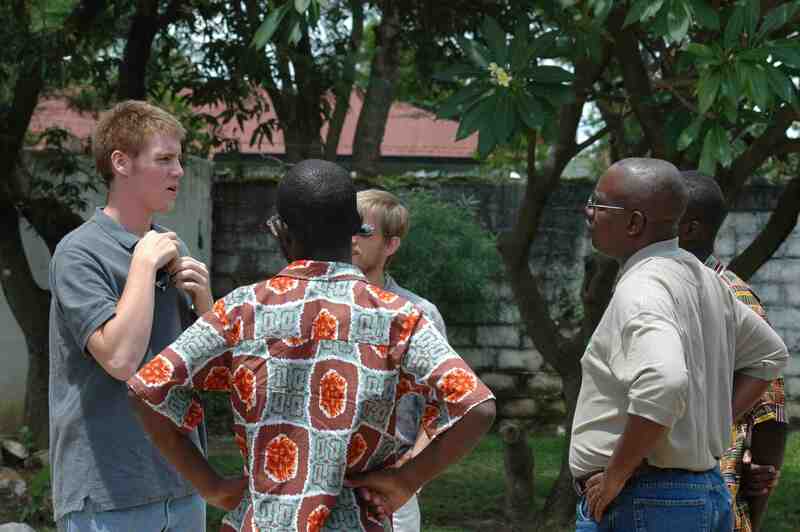 Last week, John Chitambo and I had to touch base with the point pastor that we’re working with for the C.R.O.S.S. Project Conference up in the Chisamba area. We agreed on a meeting place and time – in front of Subway, 12:00. John and I got there a little after 12 and tried calling the pastor to let him know that we were there but didn’t get any answer. He even has two cell phones. So, I kept calling. And calling. And calling…but did not hear anything back. After 20 minutes, I told John that I was going to start walking around to see if he was in the general area. I couldn’t find him. After 40 minutes of waiting, I finally got a call. It was even from the pastor! But he just gave two rings and then hung up. Finally, when 50 minutes had past, the pastor called to tell me that he was coming to our meeting place. It was 1:00. The reason why he was late was because, on his way to meet us, he had run into a church member who had missed a church meeting, and the pastor wanted to fill him in on what he had missed. He was receiving all of my calls but did not answer, because he was meeting with the church member and thought it would have been rude to answer my call while talking with the man. He told me he just didn’t know how to “free” himself from his friend. Meanwhile, back at the meeting place during this time, I was fuming and had started to already make plans to cancel the conference due to the pastor being “out of it” and impossible to get a hold of. A typical cross-cultural miscommunication. Funny how it all seems so clear after it’s over. The pastor was probably irritated that I kept calling him and that I didn’t understand and assume there was a valid reason for his tardiness. Unfortunately, cross-cultural miscommunication happens all the time, but it’s part of the “joy” and adventure of living in another culture. The key is to actually remember that cross-cultural miscommunication happens in the midst of cross-cultural miscommunication.